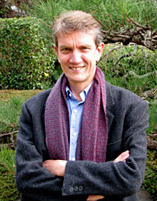 Bruce founded Carbon South Limited in 2008. His interest in sustainability issues originated while working as part of the management team for the Te Kopi Bio-diversity project from 2002~2005. He returned to New Zealand in 2002 after 20 years in Japan and Hong Kong working as a financial markets trader. Fluency in the Japanese language supported a diverse career making him well-versed in multi-cultural issues. His financial experience facilitated a quick uptake on fundamentals of the carbon market and he is enjoying the challenge of helping small-to-medium sized businesses quantify, offset and reduce carbon emissions. As a small business owner himself, he understands the need to be flexible in securing outcomes that benefit the environment and help companies on their path toward sustainability. He is married to a Japanese national from Kyoto and has two children of adult age. Interests include Aikido, where he achieved a black belt, studying the Maori language, gardening, reading and writing. Daniela’s interest in climate change and carbon management began in Chile while writing her thesis on Clean Development Mechanism (CDM) projects - an integral part of the Kyoto Protocol. Since then her research has concentrated on carbon management and the international carbon market. As part of her professional development she completed a Masters Degree at the University of Malaya, Kuala Lumpur researching biofuels and CDM projects. Daniela spent over four years consulting for a top multinational enterprise in Chile. She specialised in implementation of environmental and quality management systems such as ISO 14001, ISO 9001, and other food and safety standards. As a carbon advisor for Carbon South, she manages carbon emission audits for New Zealand companies and assists in the implementation of international standards such as ISO 14064 and the Green House Gas Protocol of the World Resources Institute. 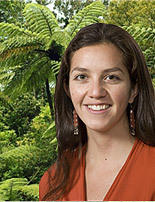 She represents Carbon South in Latin America and acts as an intermediary between South American CDM project developers and Carbon South’s international network of clients. El interés de Daniela en Cambio Climático y el Mercado de Carbono comienza en el año 2004 en Chile cuando realizó su proyecto de tesis en Mecanismo de Desarrollo Limpio (MDL) como un instrumento del protocolo de Kyoto. Desde entonces, sus areas de investigación se han concentrado en mercados internacionales de Carbono. Como parte de su desarrollo professional en esta área, cursó el Master en Gestión Ambiental en la Universidad de Malaya en Kuala Lumpur, relizando una investigación en bio combustibles y MDL. Daniela trabajó cuatro años como consultora en una importante empresa multinacional en Chile, especializándose en la implementación de Sistemas de Gestión Ambiental y de Calidad, ISO 14001, ISO 9001 como también en Sistemas de Gestión de Seguridad Alimentaria. Como asesora de proyectos de Gestión de Carbono en Carbon South, Daniela realiza auditorias de emisiones de gases de efecto invernadero en empresas de Nueva Zelandia y apoya a empresas en la implementación de estándares internacionales como ISO 14064 y el Protocolo de Gases de Efecto Invernadero del Instituto para los Recursos Mundiales (World Resources Institute, WRI). Daniela es la representante en Latino América de CarbonSouth e intermediaria entre desarrolladores de proyectos MDL de Sud América y la red de clientes internacionales de Carbon South. 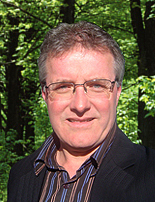 Barry comes from a UK financial services background where he was a professionally qualified financial adviser. He specialised in pension and employee benefit planning for over 20 years. His clients ranged from individual clients through to high net worth company directors. Barry married a kiwi in 1987 and this was the reason for coming to Christchurch in 2006. One of Barry's key objectives when moving to New Zealand was to get involved in areas that interested and motivated him. This led him initially into the world of cricket where he coaches and provides administration support for junior cricket. The opportunity to join forces with Carbon South and advise businesses on carbon emissions auditing also fits this objective. He enjoys working with people to achieve their objectives and then reviewing progress over time. The ability to build relationships, gain trust and provide a comprehensive service was essential in financial services and will be just as meaningful with his work at Carbon South. He and his family have moved smoothly into their new way of life with two sporty boys now at high school. Watching and playing sport, visiting new dog walks and discovering New Zealand are his main interests.